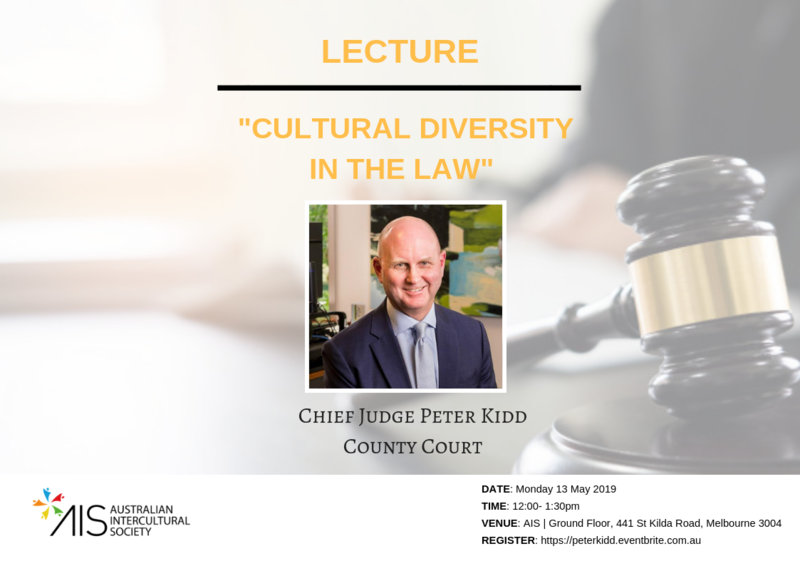 Come along to hear County Court Chief Judge the Hon Peter Kidd SC talk about the legal community’s burgeoning diversity. However, the increasing numbers of practitioners coming from different ethnic backgrounds has yet to be reflected on the bench. The Chief Judge will talk about the strides made thus far, the challenges that lie ahead and the cost to our legal system if the bench does not reflect the diverse society in which we live. Presented by Australian Intercultural Society. Contact Tanya Deane from Australian Intercultural Society.